Over a decade ago, Maksim Koloskov was diagnosed with primary biliary cirrhosis (PBC), a chronic disease that causes the liver to slowly deteriorate. 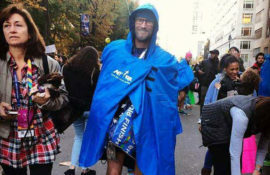 As his condition progressed, he went from running daily to not being able to cross the street within a matter of months. A consultation landed him at Baylor St. Luke’s Medical Center. After a meeting with the team of specialists, they determined Maksim would need a liver transplant. He was placed on the transplant waiting list in February of 2014, and after six months of waiting, he received the news he had a donor. On July 30, 2014, Maksim underwent a successful liver transplant at Baylor St. Luke’s. After spending three days in the ICU, he went home to recover. Maksim is extremely grateful for the gift of life he received from his donor and their family as well as the care he received during his time at Baylor St. Luke’s. Since his transplant, Maksim is back to his morning runs. 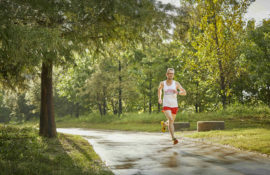 He competed in the 2016 Transplant Games of America and recently ran in the 2018 New York City Marathon. 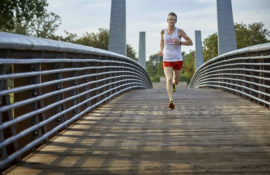 His goal is to help bring awareness to the importance of organ donation through his running and prove that in the marathon of life, compassion is everything.